Cook potato in pressure cooker for 3 whistles. Allow it to cool. Peel off potato and cut into cubes. Heat oil in pan. Add cumin seeds, mustard seeds, curry leaves, asafoetida. After mustard seeds pops out, keep low flame. 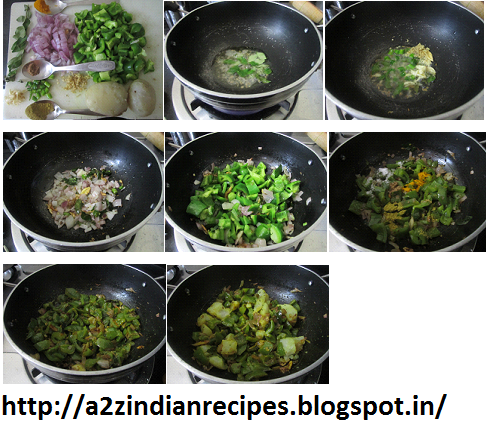 Then add onion, green chilies, ginger, garlic, fry till onion turns light golden brown. Then add capsicum, mix well, then add 2 tbsp water cover the lid ad cook for 6-7 min till capsicum is cooked 90%. Then add turmeric power, garam masala, amchur powder, coriander powder. Mix well. Saute for few min. Then add potatoes and salt, mix well. Saute for 2 min. Turn off the flame. Serve hot with chapati. 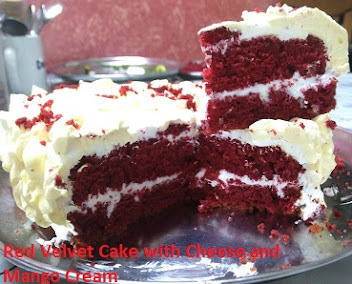 Thanks for sharing this wonderful receipe, It is awesome.